RALEIGH -- Despite icy roads and below freezing temperatures, fans flocked to PNC Arena Saturday morning to be a part of the first ever ESPN College GameDay held in Raleigh. Though the show started at 10 a.m., N.C. State fans, along with a handful of North Carolina fans, were waiting hours beforehand. For Wolfpack senior Ryan Abernathy, the wait to get into the arena started at 4:30 a.m. after being denied a chance at sleeping out on the ice on Friday night. Fans who arrived early were treated to a speech from new football coach Dave Doeren along with performances by the dance team and cheerleading squad. 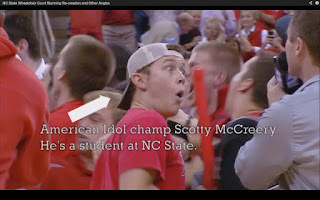 American Idol winner and N.C. State student Scotty McCreery took a break from recording in Nashville, Tenn., to attend the game and be a part of the event. The Garner native performed “Wagon Wheel,” by Old Crow Medicine Show with Doeren and fullback Logan Winkles on the court. Read more here: http://www.newsobserver.com/2013/01/27/2634569/unc-vs-nc-state-its-game-day.html#storylink=cpy“I was supposed to be in Nashville today, but this is huge,” McCreery said. “I thought, we can pack everything into two days instead of three and make it work. With this being the first time GameDay has ever been to N.C. State, I’m just happy to be a part of it. 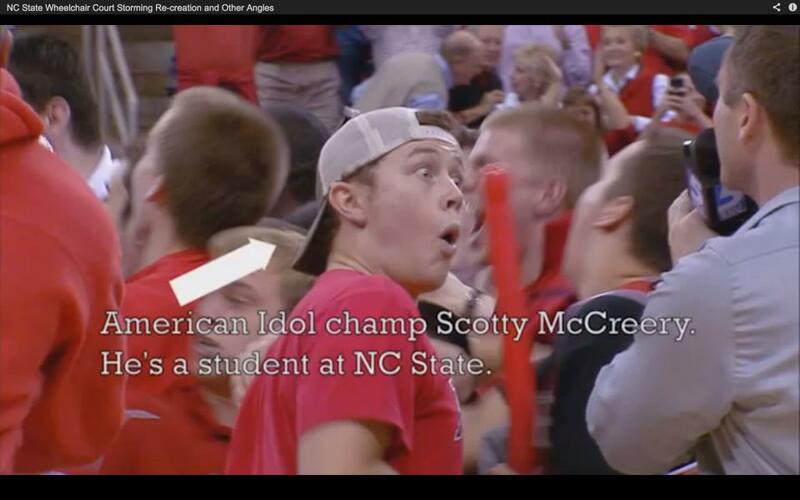 McCreery also had a prediction for the game.